Note: Payment fulfillment by Blue Apron. Give InKind has an affiliate relationship with many of the advertisers on our site, and may receive a commission from products purchased via this link. Our 2-Person Plan consists of 3 meals perfectly portioned for 2 people, and is delivered to you once a week. Based on your preferences, you’ll receive 3 recipes out of the 6 unique options created by our culinary team each week. The price per serving is $9.99 a meal, or $59.94 for the entire 6-serving delivery. Shipping is always free. Our Family Plan is perfect for feeding a family of 4 and consists of 4 delicious recipes delivered to your door each week. Depending on the plan you choose, you’ll receive either 2 recipes or all 4 recipes created for that week. The price per serving is $8.74 a meal, or $69.92 for the entire 8-serving delivery. Shipping is always free. Why We Love This Gift: Managing life is much easier with tangible support. A meal kit delivered and ready to cook enables those in need of support to fill their house with the smell of a nutritious and delicious meal - without having to plan or shop for it. This is a great gift for people in the sandwich generation - those caring for kids and aging parents. It is a great gift for a single parent who loves taking care of things - but could do with a lightening of the load. Also, remember that these kits will supply all necessary ingredients for dishes. Therefore, your best friend newly living in non-urban elsewhere won't have to find lemongrass for Thai food. Win/win. 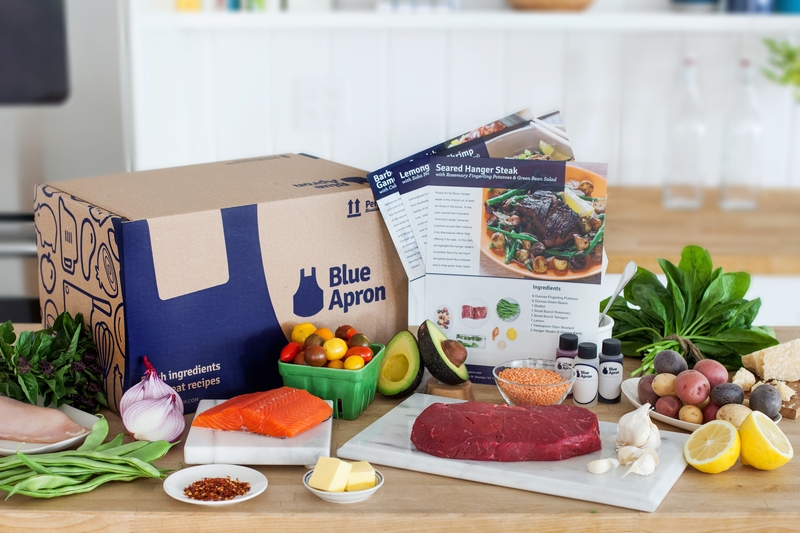 Note that Blue Apron recipes tend to cater to the more saucy and adventurous eating types. The food though, is so good, that kids do eat it - even if they think they won't. Note that some recipes can be hard to prep in advance. What to Express in Your Card: I was thinking about how much you have to do - work, kids. I wanted just to say that I am always so amazed at how you keep it all together. I wanted to send you a meal just to say that you are amazing. I send with it lots of love.